As time passes, the effects of genetics, the environment, lifestyle choices, and even the natural process of aging can have a significant impact on one’s facial appearance. For many people, the combination of these factors often leads to lines, wrinkles, jowls, lax skin, excess neck skin, and a number of other aesthetic concerns, all of which can make women and men look older than they actually are or feel on the inside. Facelift surgery is a facial cosmetic procedure designed to combat signs of aging and fatigue on the face, creating a rejuvenated and refreshed look. 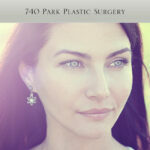 Using the most advanced, least invasive methods possible, our Harvard-trained New York City plastic surgeons—Dr. Stafford R. Broumand and Dr. Daniel Y. Maman—can customize this popular aesthetic enhancement treatment to help you address your specific concerns and achieve a more vibrant, youthful appearance with natural-looking results. As an added benefit, facelift incisions can generally be made in discreet locations hidden from view, and our plastic surgeons’ careful technique helps to ensure you achieve beautiful, natural-looking results without a “pulled” or “operated-on” appearance. In addition, candidates for facelift surgery must also be relatively healthy with no unmanaged medical conditions and should have ceased smoking at least two weeks prior to the procedure (ideally with no intention of starting again after surgery). At the time of your consultation, your surgeon will cover all of these qualifications in thorough detail to determine if a facelift would be the most appropriate option for you. Achieving an optimal facelift surgery outcome is dependent upon a variety of different factors. Take a look at the information below to learn about several details that should be taken into consideration prior to treatment. A facelift is widely regarded as the most comprehensive facial rejuvenation procedure available. While it is true that facelift surgery can provide an extensive enhancement to the face and neck on its own, there are certain limitations to what the treatment can accomplish. As a result, Dr. Broumand and Dr. Maman have found that combining facelift surgery with a variety of other surgical and non-surgical procedures may produce the best possible outcome for certain patients. One limitation of facelift surgery is the brow and forehead region. Though this area is a prominent part of the face, it is not affected directly by the facelift procedure. As a result, patients also interested in addressing wrinkles and creases along the forehead and between the brow may benefit from combining their facelift with a brow lift. Similarly, facelift surgery does not directly address the eyelids, so individuals concerned with aesthetic issues of the upper and/or lower lids may want to also consider blepharoplasty in conjunction with their facelift. In addition to these procedures, our plastic surgeons often pair facelifts with chin implants, BOTOX® injections, dermal fillers, and micro fat grafting to fill in some of the fine lines or depressions that might be present preoperatively or may develop as a consequence of the facelift. They also frequently utilize non-surgical skin care treatments—such as laser skin resurfacing—that can help achieve a new and improved look without compromising your natural appearance. When you come into our practice for a facelift, our doctors will talk to you about various intricacies of the face, such as eyebrow positioning, drooping of upper or lower eyelid skin, the presence of fat under the eyelids, positioning of the chin, and even the chin to neck angle. If they identify any additional issues that you wish to address, they will then recommend an aggregated approach. When considering facelift surgery, it is important to take into account how long the results will last. For most men and women, a facelift typically endures anywhere from seven to ten years before a touch-up treatment (usually non-surgical) may be desired. Factors that can decrease the longevity of facelift results include sun overexposure, cigarette smoking, significant fluctuations in weight, chronic stress, and simply genetics. So your face is animated and moving naturally as your doctor determines the proper location and magnitude of pulling necessary. The facelift procedures is performed with you lying down or reclining, meaning angles and degrees of skin tension will differ from a natural, upright position. Every pull—be it across the cheek, along the jawline, or even on the neck—has a different angle, direction, and magnitude. Throughout their years in practice, our doctors have found the only way to achieve the most natural-looking results is to mark all vectors preoperatively before bringing the patient into the operating room to conduct the surgery. During the actual facelift procedure, tiny incisions are discreetly made in the hairline and around the ears, and underlying tissues and muscles of the face are carefully tightened. The skin is then gently pulled taut, and any excess skin is meticulously removed. If needed and/or desired, micro fat transfers can also be employed to augment targeted areas of the face that have lost volume. For the majority of individuals, the entire treatment takes approximately two hours to complete, though this may vary depending on whether or not the facelift is performed in conjunction with a brow lift, eyelid surgery, or another complementary procedure for a more comprehensive rejuvenation. Immediately following facelift surgery, some degree of swelling and/or bruising is often present, but these symptoms should subside with time. Pain is generally rare, and any potential discomfort experienced can typically be controlled effectively with medication. Most individuals can expect to look and feel well enough to return to all non-strenuous daily activities within approximately ten days, but our doctors advise against resuming vigorous exercise or strenuous physical activity for at least a few weeks to help ensure an ideal outcome. Any residual scarring from facelift surgery should be virtually undetectable since the incisions are well hidden along the hairline and around the ears. Once the recovery period is complete, patients should notice much smoother, firmer skin that looks fresh and revitalized. The cost of facelift surgery ranges widely due to several different elements. Key factors that can impact the price of the procedure include the extent of concerns being addressed, the particular technique employed, the skill and experience of the plastic surgeon, the geographic location of the practice, and more. Due to the variability of these components, our doctors will need to meet with you in person to provide a price quote for the total expense of your facelift. During a private consultation, Dr. Maman or Dr. Broumand will perform a thorough assessment of your needs and goals, after which they can develop a customized treatment strategy to achieve the look you desire, as well as provide a cost estimate based on this individualized plan. When researching facelift surgery prices, it is critical to keep in mind that cost is usually a reflection of the plastic surgeon’s expertise and the quality of care you can expect to receive. Should the total expense seems out of budget, plastic surgery financing options are typically available to help make paying for treatment more manageable. At 740 Park Plastic Surgery, our doctors accept payment through CareCredit®—a healthcare lending company that offers affordable monthly plans with little to no interest rates. Our staff would be happy to help you get started in the quick and easy approval process. Will I Have Visible Facelift Scars? Since incisions are necessary to perform facelift surgery, some degree of scarring is inevitable. That said, our plastic surgeons are generally able to hide incisions in the hairline and around the ears, making them virtually undetectable to other people. To further decrease the appearance of facelift scars, our doctors will provide detailed instructions on how to properly care for your incisions as they heal. This may include using certain skin care products, limiting actions that may place stress or tension on the incision site(s), and avoiding exposure to the sun’s harmful UV rays. In the end, our surgeons’ meticulous technique combined with close adherence to postoperative advice tends to result in minimal visible facelift scarring. For individuals who wish to address moderate to significant signs of facial aging, there is no non-surgical procedure that can achieve as dramatic an improvement as a surgical facelift. With this in mind, patients who have only minor aesthetic concerns—as well as those who do not desire to undergo surgery at this time—may be good candidates for a non-surgical facelift technique known as a “liquid facelift.” This minimally invasive treatment involves the use cosmetic injectables and dermal fillers to smooth lines and wrinkles, lift sagging skin, and restore lost volume throughout the face, all with no incisions or extended downtime. The specific combination of injectables will be determined on an individual basis, and although the effects of each filler will fade over time, optimal results can be maintained long into the future with periodic touch-up visits. For more information about this non-surgical facelift option, please visit our page dedicated to the revived liquid facelift. 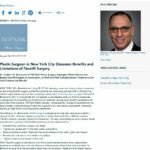 Our practice believes that informed individuals make better decisions and are generally more pleased with the final outcome of their treatment, which is why Dr. Broumand and Dr. Maman hold patient education in high regard at 740 Park Plastic Surgery. The initial consultation is a time for you discuss all aspects of the facelift process with your surgeon, and we encourage you to ask as many questions as you need to feel completely comfortable with the procedure. No questions or concerns you may have will be viewed as trivial in any way. Ultimately, we understand that there is an extensive quantity of information to absorb, and our doctors will never pressure or rush you into making a decision. We simply want to help you on your aesthetic journey through any means possible. For more information about facelift surgery, or if you are considering facial rejuvenation and would like to schedule a consultation with one of our board-certified plastic surgeons, please contact us today.